Sean came to us in September of 1994, from a small kennel in New Hampshire. Hew was the smallest of the males in the litter but we were just looking for a pet. He was Lee’s introduction to Irish Setters. 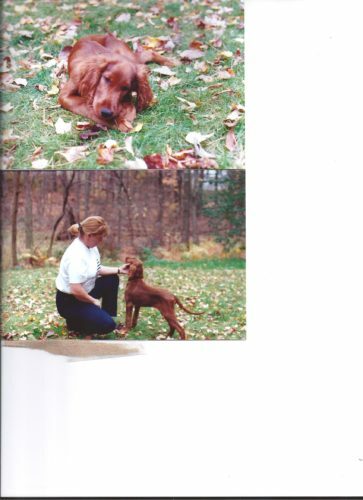 A constant companion to us, he made the move from New Hampshire to Rhode Island in September 1995 and loved the beaches………Sean was not a show dog, and at that time we were not involved in showing any dogs. 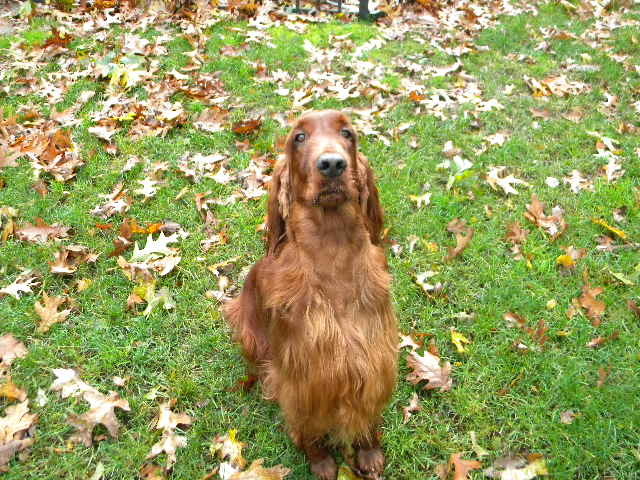 He was the smartest of all the Irish Setters, and a very calm and sweet temperament. He took a long time to mature, a puppy forever. He enjoyed Thanksgiving and Christmas because of the turkey dinners…… were his favorite holidays…..
We purchased Shamus in 1994 and they spent 8 happy years together before losing him to cancer.